Hiring a domestic cleaning professional has become more popular these days. The convenience of having someone trustworthy and capable do the home cleaning outweighs most issues and concerns. But some people don’t want to pay for an expensive cleaning service no matter how good the results are. We have a solution for all those people! You could hire Best Cleaning Services! Our cleaning prices are really affordable and yet we still provide excellent quality services. We believe that, cleaning services shouldn’t be expensive and that is why so many homeowners prefer to book our cleaners. 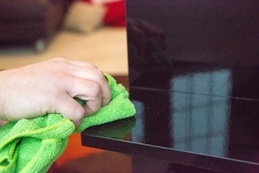 We always strive to give you low-cost and reliable cleaning. If you book a cleaner from us, we will make sure you get the best results. We have reliable, knowledgeable and fully insured home cleaners who will handle your cleaning. If our cleaner cannot come to your house, our cleaning company in London will provide a suitable replacement. Don’t hesitate to give us a call today on 020 3322 1702 if you want to know more about our cleaning services.